Ogilvie Construction would like to wish all our clients, partners and staff a Merry Christmas and a Happy New Year! 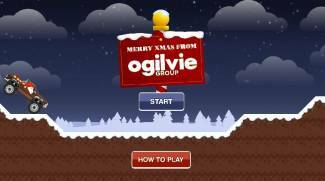 Over the festive period, why not have a go on the Ogilvie Christmas Game! Don't forget to post your scores to the leaderboard and share your score on our social media channels. 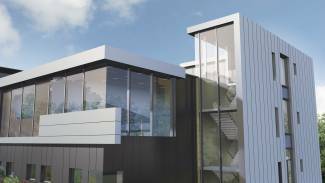 National Museums Scotland have kick-started construction of a £3.5m collections centre in north Edinburgh which will provide an additional 1,000sq/m of specialist research and storage space. The National Museums Collection Centre is expected to begin operation in October 2017, providing enhanced facilities for the scientific study, conservation and research of over 12m historic items. Specific services include a conservation science centre and improved accommodation for a variety of geological collections, textiles and artefacts in addition to space for staff and researchers. The project design team includes Ogilvie Construction, Hypostyle Architects, Ailsa TH project management and Thomson Gray Ltd Cost Consultants. Ogilvie Construction are delighted to confirm our position as one of Scotland's Top 10 Contractors. The league table, produced by Glenigan, puts Ogilvie 9th in terms of contract value awarded in the 12 months to October 2016, moving up one position from 10th in the previous period. From November 2015 to October 2016, Ogilvie have won 16 major contracts, totalling over £100 million. The figures were boosted by wins in the education, hotels and student accommodation sectors. 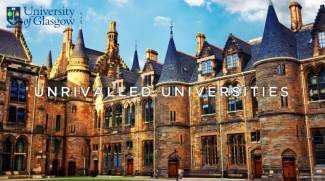 True Student Living have released a fascinating video of their Kelvinhaugh Street student accommodation, currently under development by Ogilvie Construction. The unique project will be home to over 600 Glasgow students with luxury en-suite rooms and facilities including a cinema, library, gym and cafe. 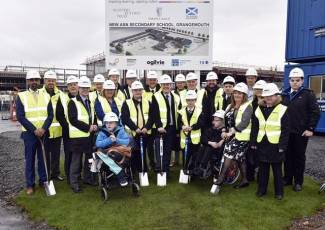 Children and young people with additional support needs in the Falkirk area will benefit from a modern new facility thanks to the Scottish Government’s Schools for the Future building programme. Cabinet Secretary for the Economy, Jobs and Fair Work, Keith Brown, led the sod cutting at the site for the new £9m additional support needs secondary school that will replace Carrongrange School. The project is being delivered by hub East Central Scotland for Falkirk Council in partnership with Ogilvie Construction and is part of the Scottish Government’s £1.8billion Scotland’s Schools for the Future building programme. This will see 112 schools replaced or refurbished across Scotland. Pupils in Armadale, West Lothian are enjoying their first weeks in one of Scotland’s most energy efficient primary schools, which was recently completed on time and budget by Ogilvie Construction. 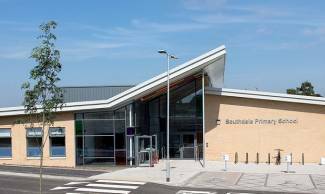 Southdale Primary School has been designed as an eco friendly, energy efficient building incorporating photovoltaic solar panels on the roof, along with a significantly increased insulation envelope and air-tight design. This innovative approach to the design and construction of the building will deliver considerable energy savings. The new school was built in two phases, creating 16 new classrooms, school nursery, gym and community hall. A grass pitch and tarmac multi-user games area is complemented by a full size community grass pitch designated for community use. Ogilvie Construction have reinforced their dedication to augmenting the capabilities of the young people that join them by enrolling in The 5% Club. This philosophy has been central to our ethos since the outset and indeed prior to joining The 5% Club. We recognise the importance of recruiting apprentices, graduates and sponsored students throughout our operations. New talent is consistently brought into the company to be trained and developed to help contribute to their own personal development and be part of the team which is measured upon Ogilvie Construction’s standard of excellence. Becoming a member of the 5% Club has allowed Ogilvie Construction to publicly share their commitment to the recruitment and training of apprentices, students and graduates. At present we have 27 employees, 11.5% of the current workforce, who currently study at college, university and for professional membership; the success of this programme underlines our desire to continue our investment in this area. 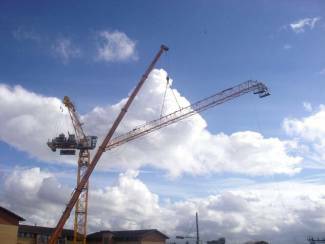 The £33 million project to build a student residence in Yorkhill, Glasgow, for developers Bricks Developments is well underway. Built on the site of former warehousing at Kelvinhaugh Street, the project will create a 607 bedroom building consisting of three separate blocks of between 5 and 9 storeys constructed above a semi basement parking space. The images provide an overview on site development to date and we'll continue to bring news on our progress in the coming months. Ogilvie Construction has achieved its third successive Gold Award from the Royal Society for the Prevention of Accidents (RoSPA) in this year’s Occupational Health & Safety Awards. 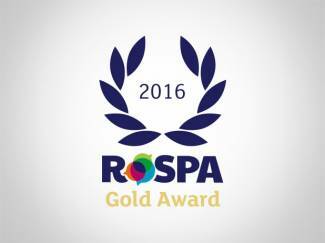 The RoSPA Awards is celebrating 60 years of presenting highly regarded and sought after accolades to businesses and organisations which have shown commitment to accident and ill-health prevention. Through the scheme, which is open to businesses and organisations of all types and sizes from across the UK and overseas, judges consider entrants' overarching occupational health and safety management systems, including practices such as leadership and workforce involvement. 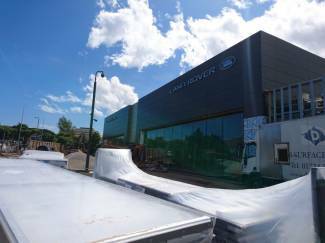 Scottish dealer group Peter Vardy are set to take possession of their new, £8 million Jaguar Land Rover dealership building on Wellington Road in Aberdeen on Friday 29th of July. The new dealership, built by Ogilvie Construction, who also built Vardy’s Porsche Centre Aberdeen, opens it’s doors to the public on Saturday 8th and follows the latest JLR dealership template and is on two floors, ground and mezzanine, linked by escalators, with over 100 New and Approved Used vehicles on site and 26 ramps for servicing vehicles.